If you want to produce something highly professional and highly unique on your travels, look no further than the Cameralapse. At some point during your travels you”ll find yourself in a landscape so entrancing that you want to capture all of it, but panoramic photos are quickly becoming passé. 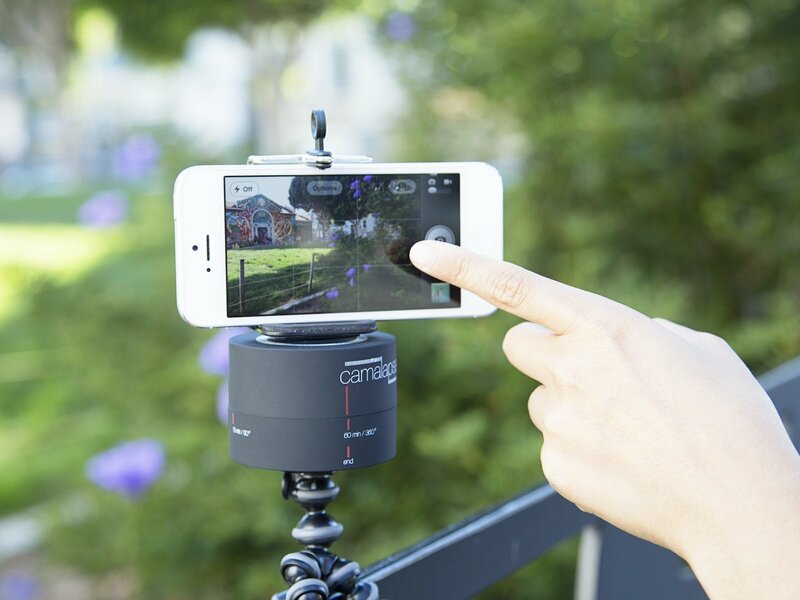 Aim higher with the Cameralapse, a portable rotating stand that helps you take pro-quality 360° and shareable timelapse videos. Taking 15 minutes to rotate 90° so a full hour to complete a 360° video, Camalapse attaches to any smartphone or compact camera using a small clamp tripod mount. A simple twist then begins the Camalapse on its magical journey. Better still, the Camalapse requires no batteries, making it a great low maintenance gadget for long journeys.